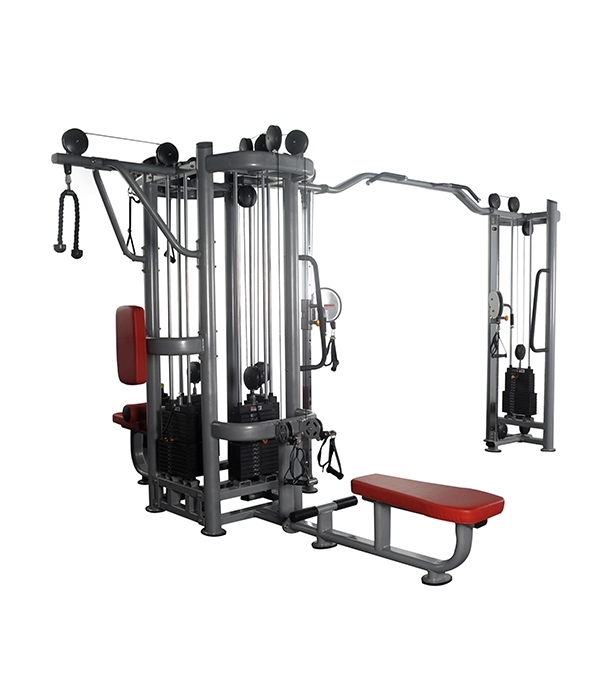 The equipment use high quality steel tube. The door frame is D shape tube, the mainframe is 120 x 50 flat elliptical tube, all the tube is 3mm thickness. Imported Soild steel wire, can bear above 1500Kg. Electrostatic powder coating double layer of high quality flash silver powder. No.45 steel, handled by high frequency, high hardness, high precision, can ensure the lubricity of the guide rod and ensure the user’s safety. Adjust by gas spring, ensure the best exercise demand.